Originally, the term smog was coined to describe the mixture of smoke and fog that lowered visibility and led to respiratory problems in industrial cities. More recently, the term has come to mean any decrease in air quality whether associated with reduced visibility or a noticeable impact on human health. Smog occurs when emissions of gases and particles from industrial or transportation sources are trapped by the local meteorology so the concentrations rise and chemical reactions occur. It is common to distinguish between two types of smog: London smog and Los Angeles smog. increased death rate, primarily due to respiratory problems. The most notable example of this kind of smog occurred in London, from December 4 to 10, 1954, when some four thousand deaths in excess of normal averages resulted. A similar episode in Donora, Pennsylvania, in 1948 involved approximately twenty excess deaths. Most jurisdictions have instituted control measures to prevent this level of disaster from happening again. They have moved industries out of cities, demanded lower industrial emissions, and increased the heights of smokestacks so emissions are not trapped by local meteorology. These approaches have been largely successful, at least in controlling the most extreme events. The control of photochemical smog is more difficult than for sulphurous smog because the compounds responsible for human and crop impacts are not directly emitted, but produced by chemistry in the atmosphere. Thus, greater knowledge on the emissions of gases, their reactions in the atmosphere, and their lifetime is needed. Most jurisdictions continue to focus their control strategies on reducing ozone concentrations, although particle concentrations are receiving increasing attention. Because smog results from the sunlight-initiated chemistry of hydrocarbons and nitrous oxides, the most common approach to smog control is to decrease the emission of these compounds at their source. Lower volatility gasolines and systems to capture gasoline vapors are used to reduce hydrocarbon emissions while tailpipe controls (catalytic converters) reduce emissions of both hydrocarbons and nitrogen oxides. The emission control systems of the twenty-first century mean that a car typically emits 70 percent less nitrogen oxides and 80 to 90 percent less hydrocarbons than the uncontrolled cars of the 1960s. 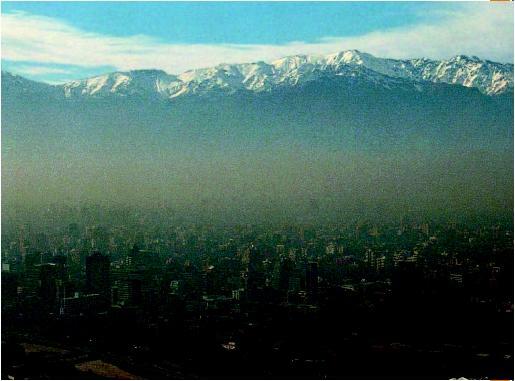 The expected improvement in air quality, as a result of increasing controls, is estimated by using computer models of the atmosphere and its chemistry. SEE ALSO A IR P OLLUTION ; A STHMA ; D ONORA, P ENNSYLVANIA ; H EALTH, H UMAN ; O ZONE . Brimblecombe, Peter. (1987). The Big Smoke: A History of Air Pollution in London since Medieval Times. London: Methuen. U.S. Environmental Protection Agency. "Air Quality Index: A Guide to Air Quality and Your Health." Available from http://www.epa.gov/airnow/aqibroch . U.S. Environmental Protection Agency. "National Air Pollutant Emission Trends, 1900–1998." Available from http://www.epa.gov/ttn .